Nowadays, HTML Help CHM is the standard help format used in most modern Windows applications. An HTML Help system is completely stand-alone and can be distributed as a single .CHM file (for example, "My_Help_File.CHM"). 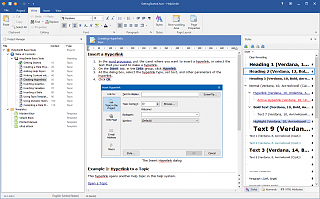 Thus, a CHM file is practically a kind of the portable formats for technical documentation, which can be displayed on all Windows-based computers since Windows 98. In other words, any Windows user will be able to open such a file under Windows 98, ME, 2000, XP, and Vista. An HTML Help CHM file includes all the features to provide the end-user with easily navigated and comprehensive Help. Everybody of us is probably familiar with the HTML Help viewer, which has the Table of Contents, alphabetical Index, and the Search feature, located on the navigation pane to the left side from the help topic text. HelpSmith allows you to easily create CHM HTML Help files. 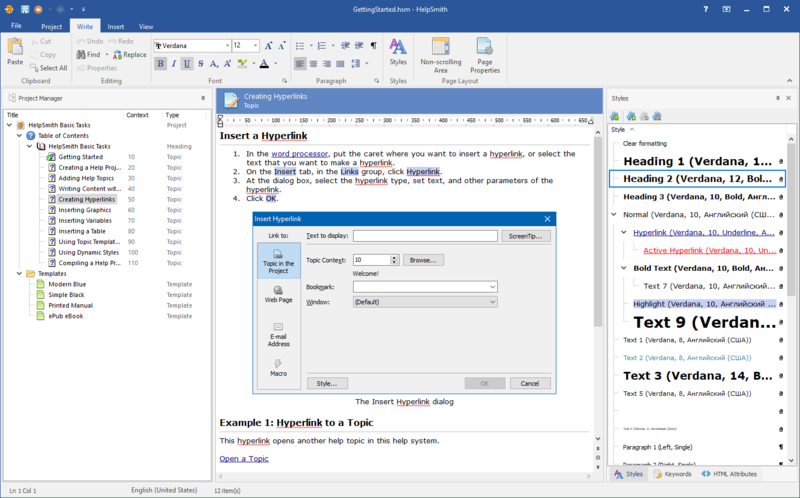 Based upon the WYSIWYG ("What-You-See-Is-What-You-Get") principle, HelpSmith provides you with a powerful word processor making the biggest part of working on a help system - writing and editing help topics - a pleasure to do. 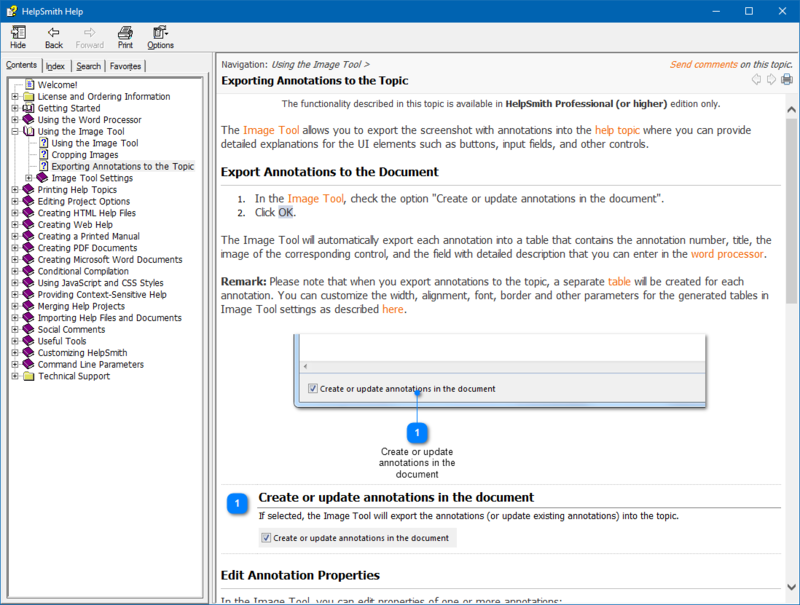 Use graphical images, insert full-featured tables, create hyperlinks, finally, check spelling as you type just like in Microsoft® Word. Also, you will be able to create the Table of Contents, and the keyword Index for your help file just in several minutes. On the Tools menu, click the Options command. Select "General|Compilers" on the left sidebar. Specify the full path to the "HHC.EXE" file on your computer (for example, "C:\Program Files\HTML Help Workshop\HHC.exe"). Then click "OK" to save the changed options. The process of working with the HHC.EXE compiler is completely transparent to you, making it a breeze to create CHM HTML Help documentation.